Every year, a friend of mine goes absolutely crazy and bakes dozens upon dozens upon dozens of different Christmas cookies. I think they literally live in their kitchen for at least a week. Instead of going baking mad, try these favorite Christmas Baking Recipes! Get ready for a Simple Coconut Macaroon Recipe that is chewy on the inside, crunchy on the outside and naturally gluten-free! They feel fancy but are so simple to make! Love The Cheesecake Factory’s Pumpkin Cheesecake? Then you’ll love this Pecan-Topped Pumpkin Cheesecake Copycat Recipe! Amazingly soft, and deliciously sweet. These Soft Ginger Cookies are perfect for the holidays or anytime you need a cookie fix! My family believes anything mint is always in season. Whether you’re making this for Christmas or using up your left-over candy canes, you’ll love this fabulous Candy Cane Fudge Recipe. If you like German chocolate cake, you will absolutely love these German Chocolate Cake Cookies because their taste is reminiscent of the famous coconut and chocolate cake popular during the holidays. Do you make chocolate chip cookies only to have them turn crunchy after they cool or overnight? Today, I’m revealing a huge secret to baking the most Chewy Chocolate Chip Cookies that stay soft even overnight! 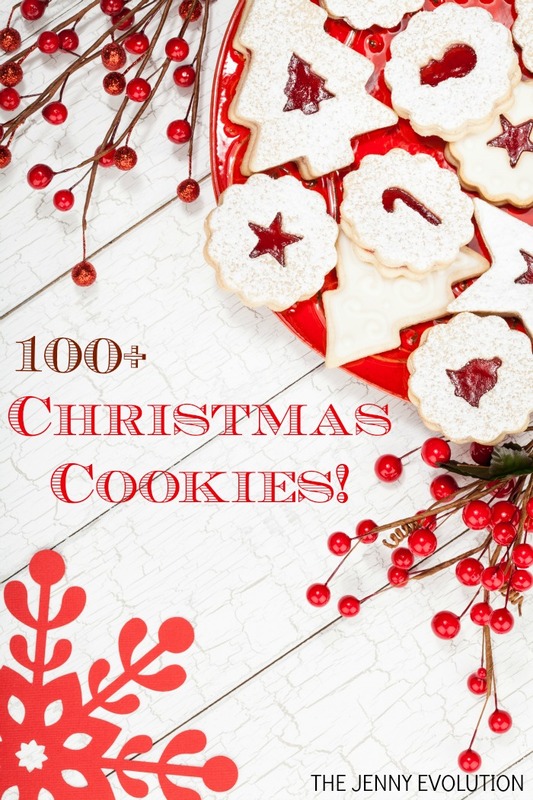 To top off your sugar journey, try these Christmas Cookies and Desserts for the Kid In All of Us to make the kids in all of us smile. Christmas Sugar, Spice and Everything Nice Cookies inspired by the scents and spices of the season. Some days a girl’s just gotta have her chocolate. After all, what would the holidays be without chocolate? Never fear, I’ve got 20+ Indulgent Chocolate Christmas Cookies to keep your sweet tooth satiated. Get ready to cool down your mouth and heat up your taste buds! 20+ Christmas Cookies with Winter Cool Peppermint will do the trick. Ever year I hear so many jokes about how bad fruit cake is. But to be honest, I’ve never actually tasted fruit cake. There are just too many other calorie-worthy desserts! And Christmas cookies with fruit is certainly one of them. So dig in and enjoy 20 Holiday Fruit Cookies. Not Fruit Cake! Why should the other kids have all of the cookies? If your family has gone gluten-free, rather than sitting on the sidelines let your kiddo enjoy some one of the 50+ Gluten-Free Sweets of the season.